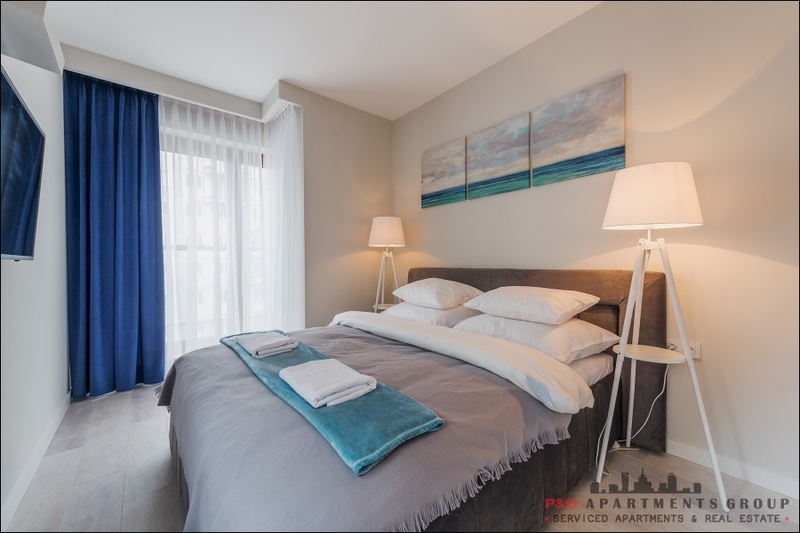 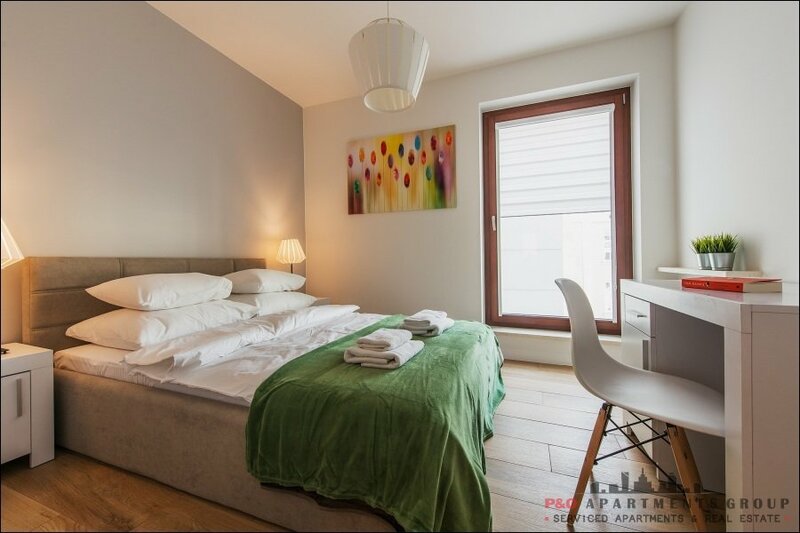 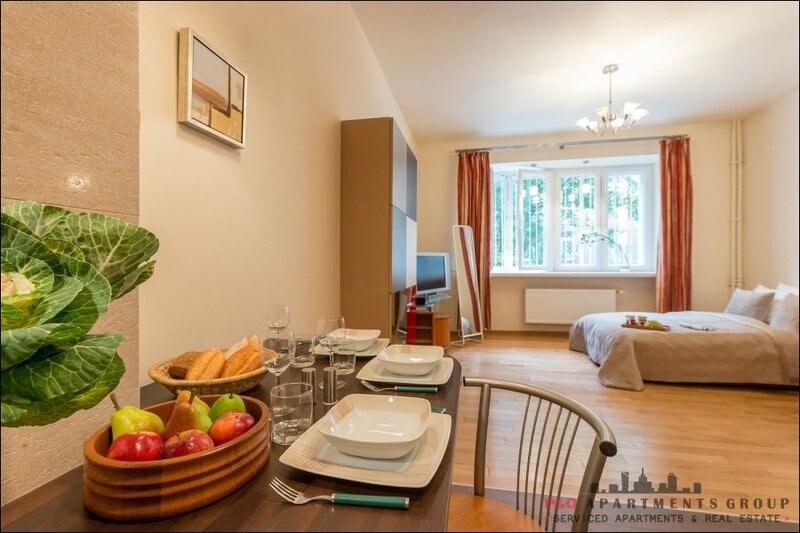 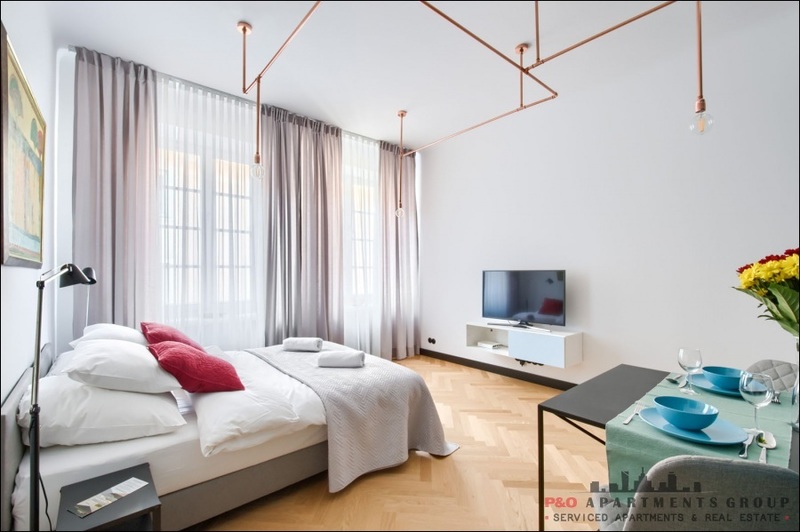 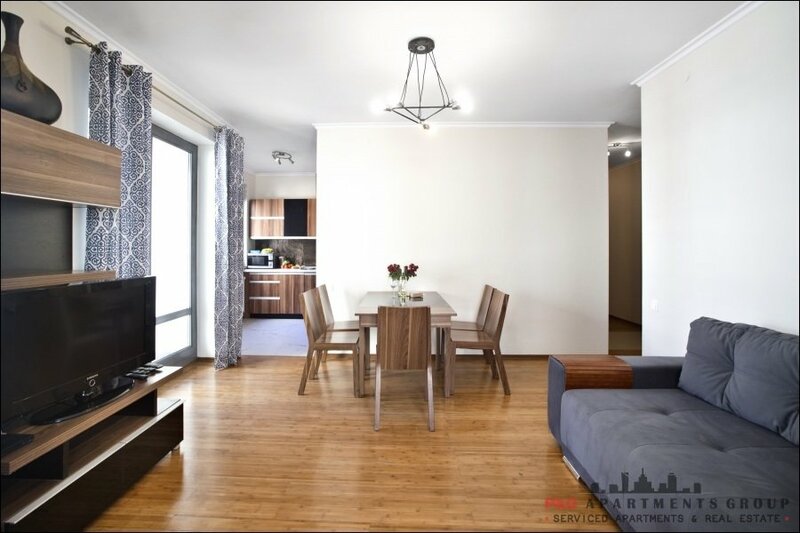 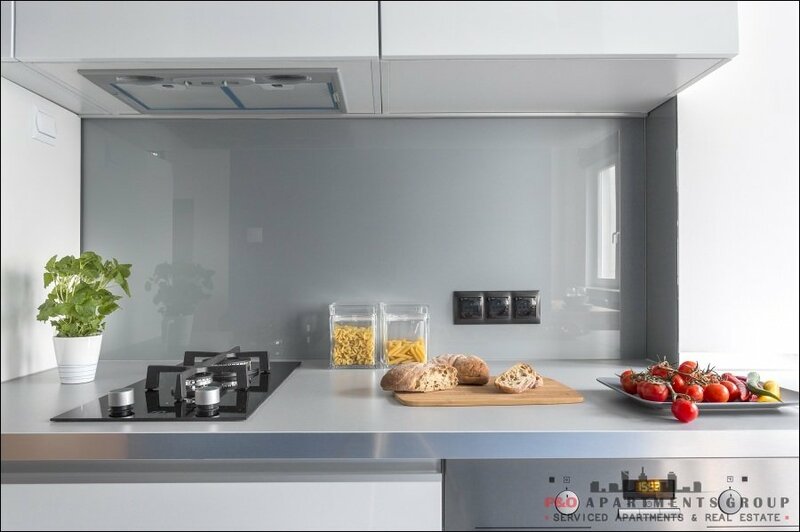 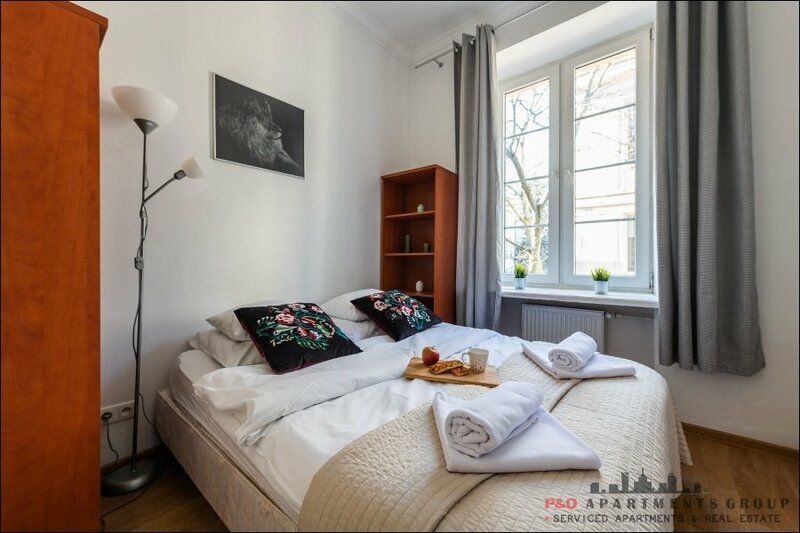 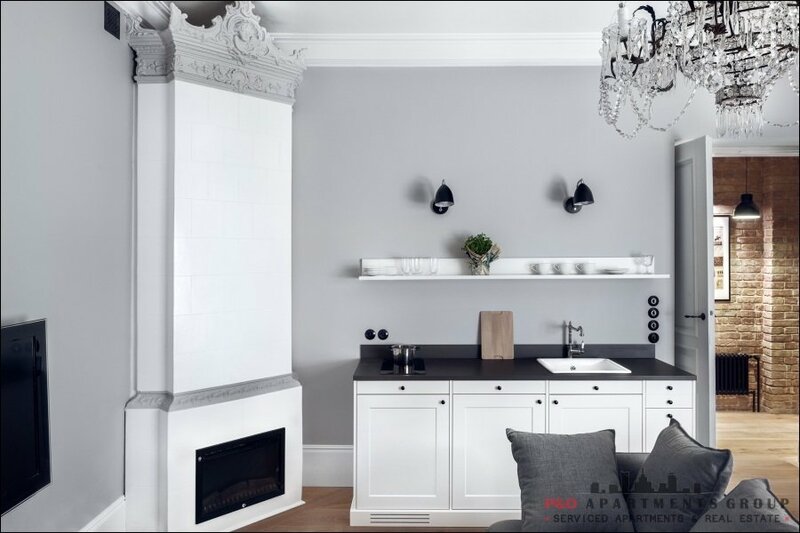 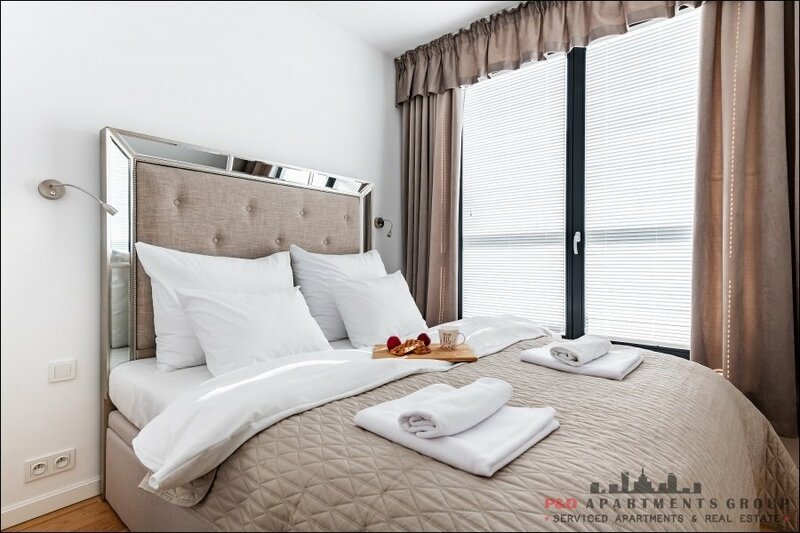 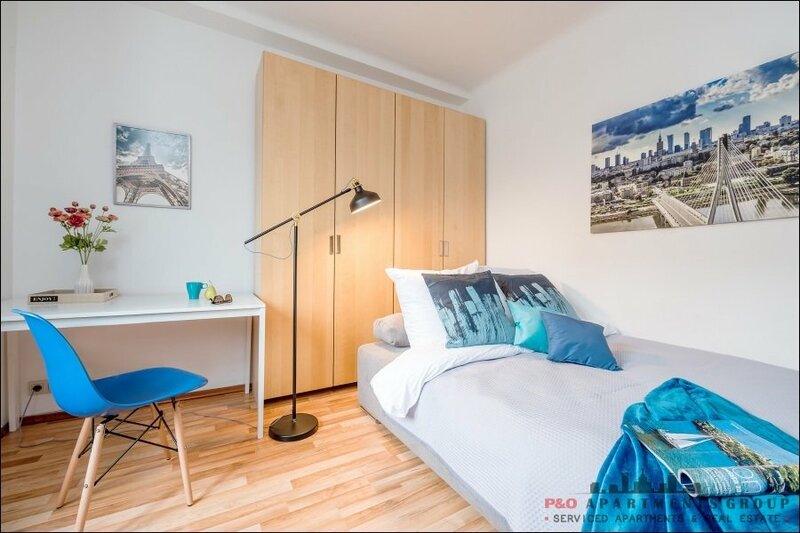 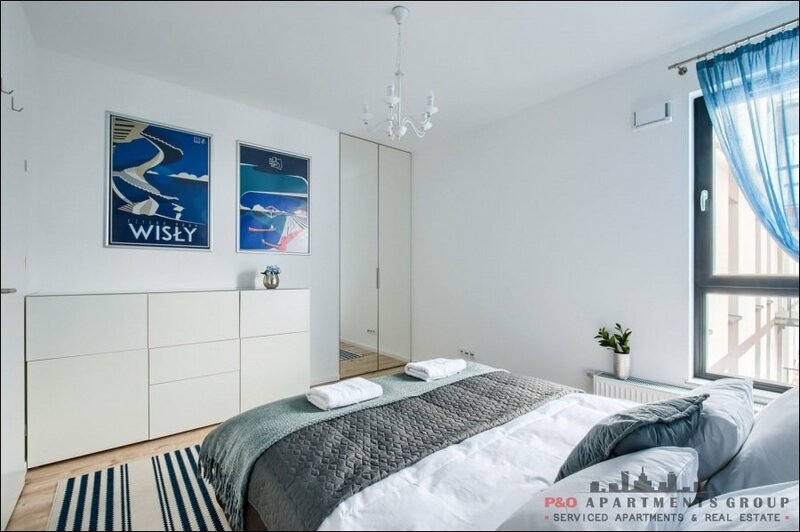 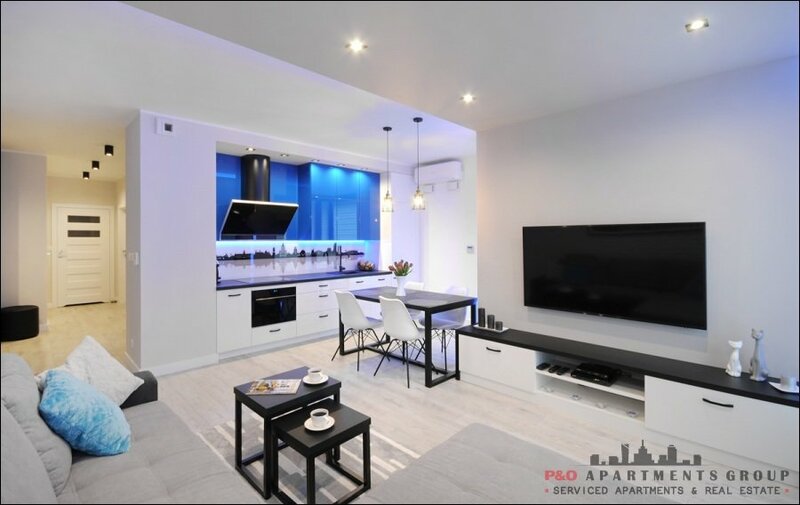 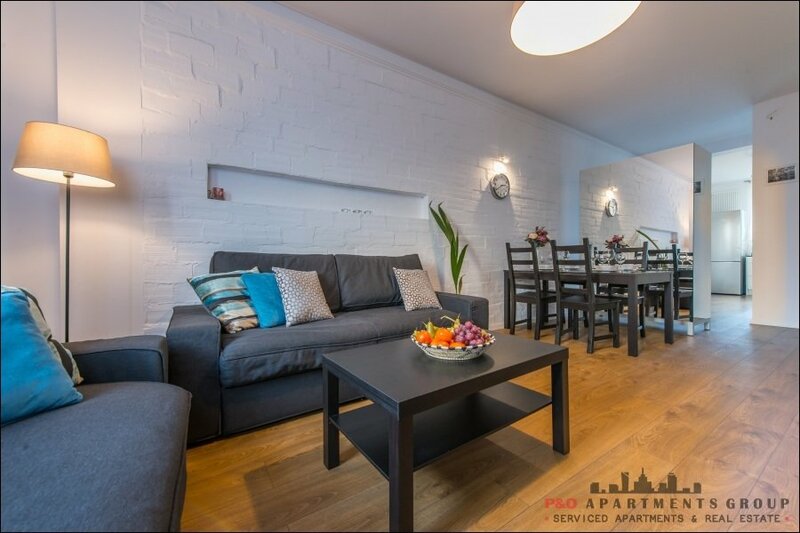 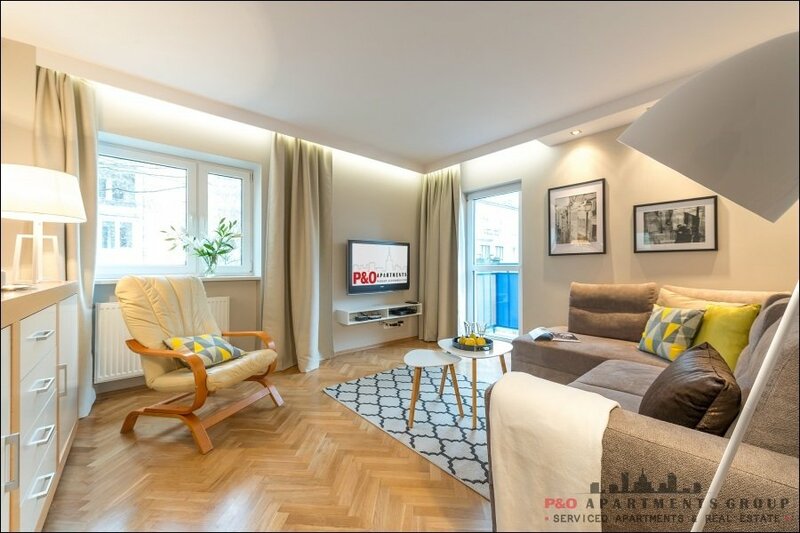 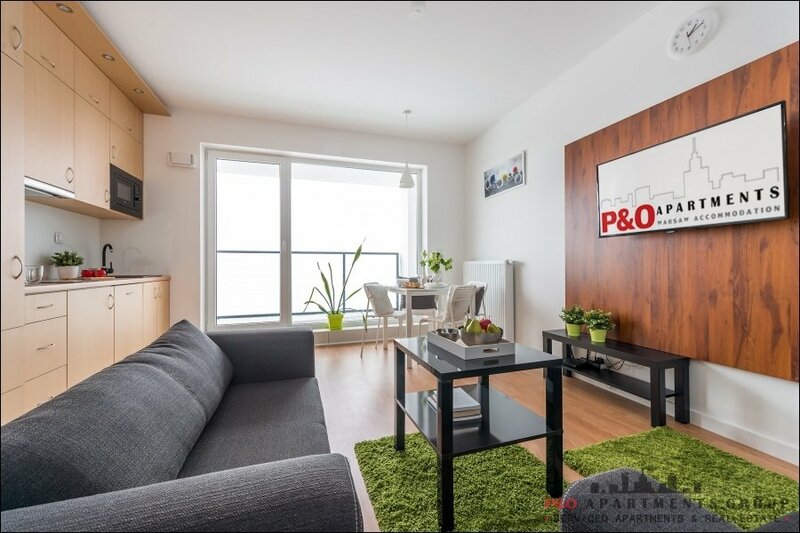 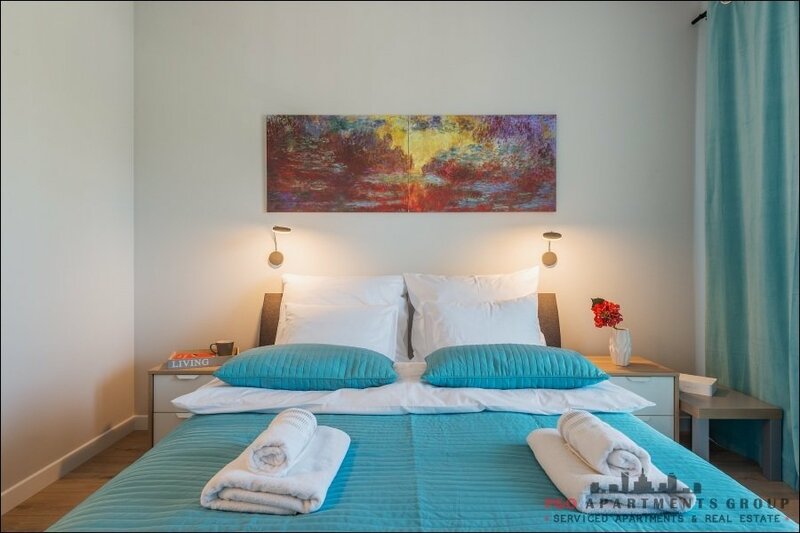 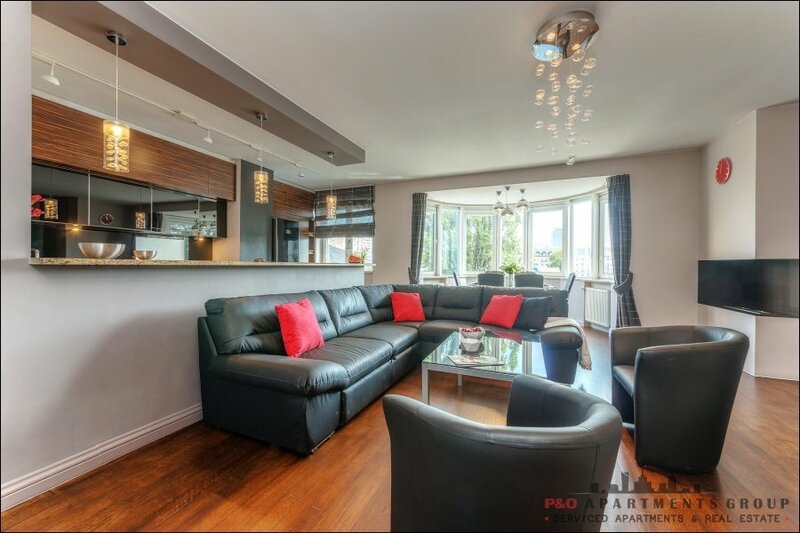 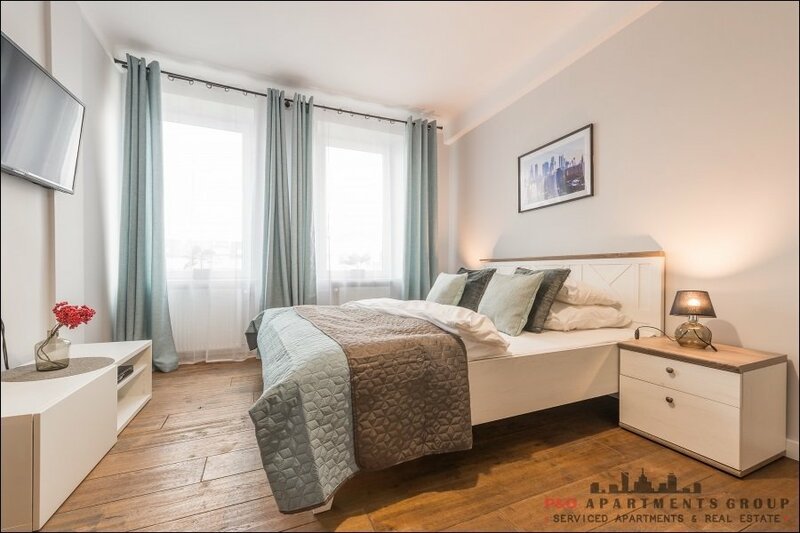 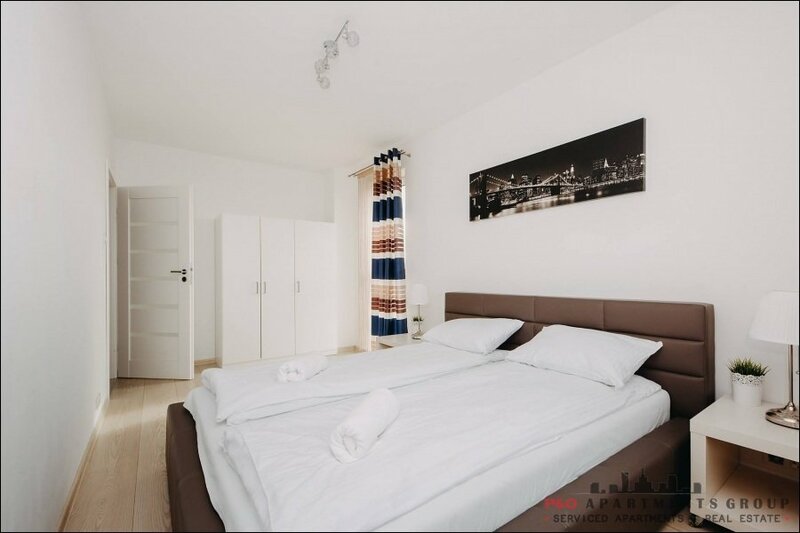 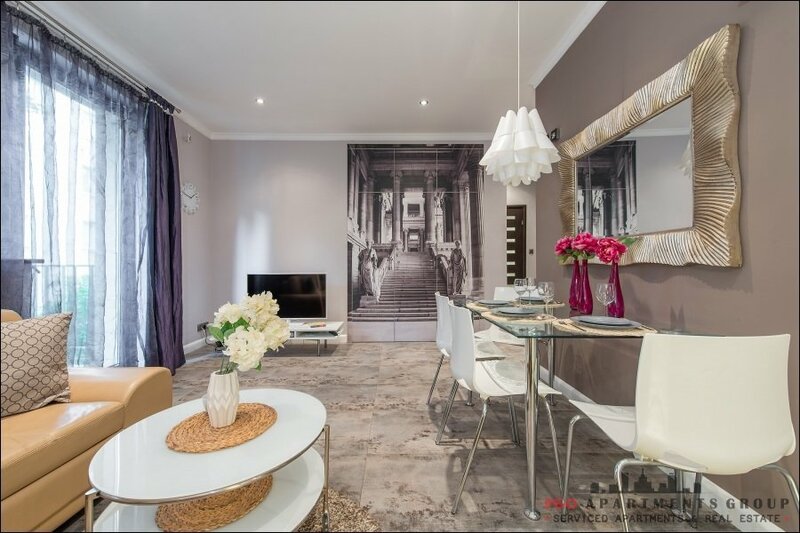 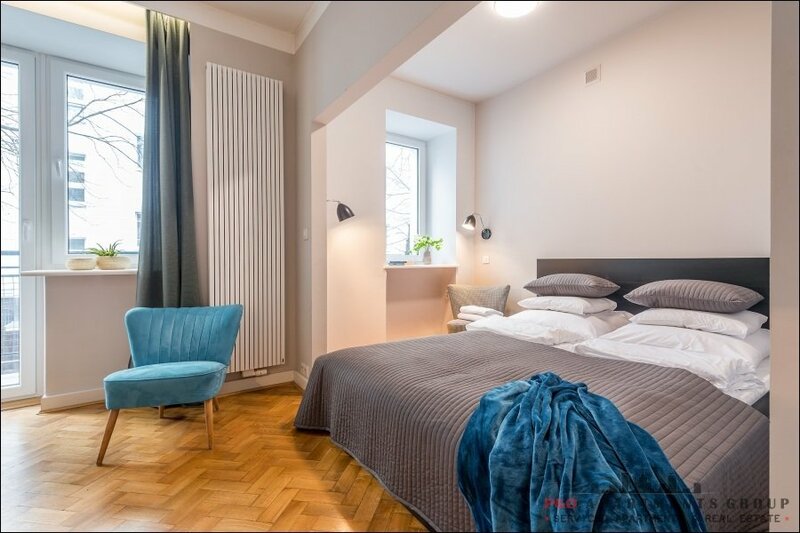 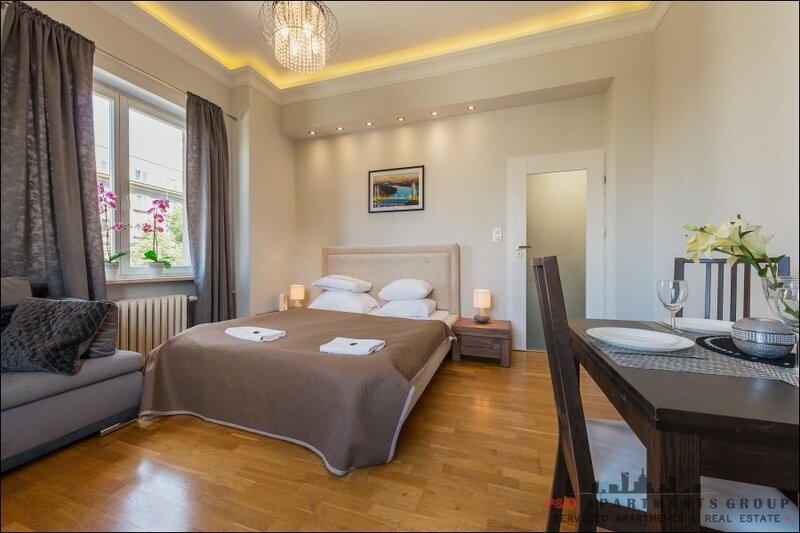 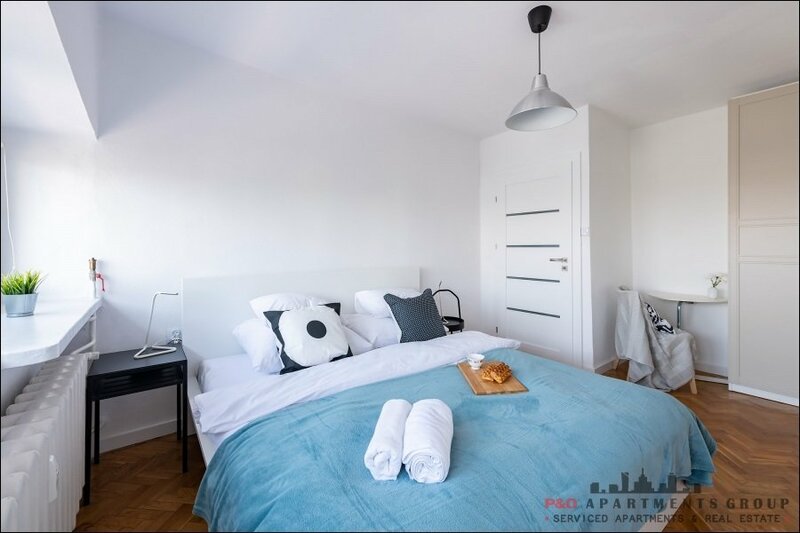 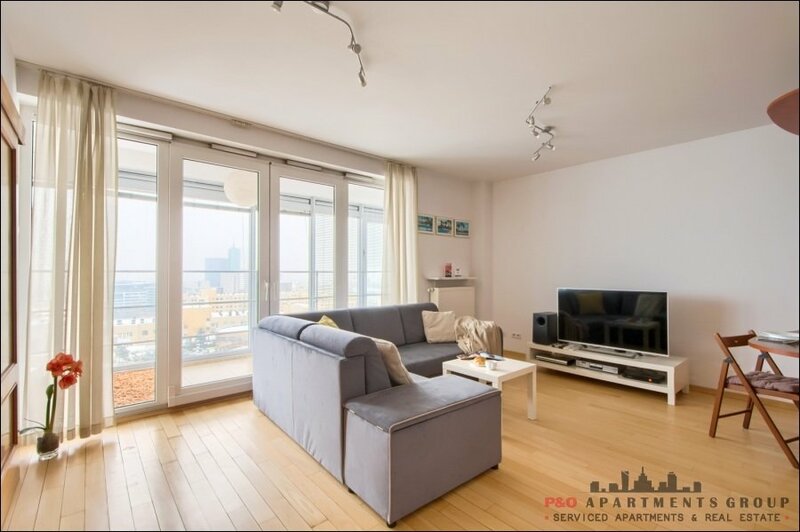 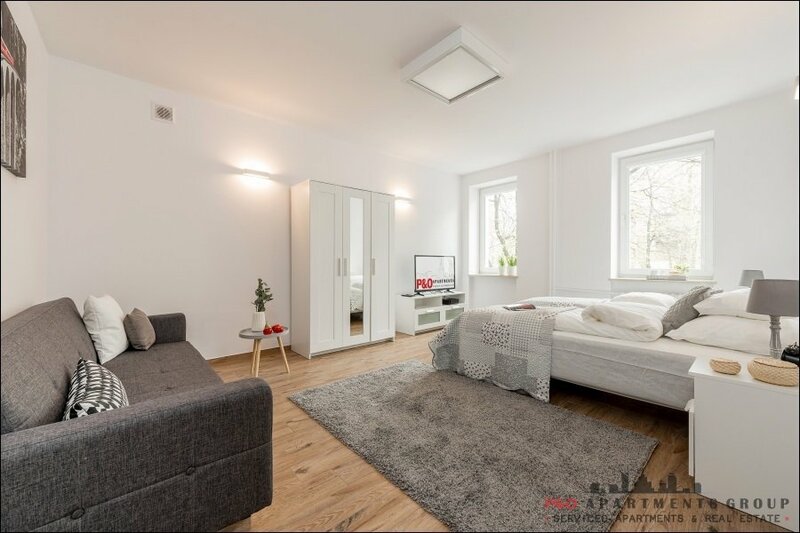 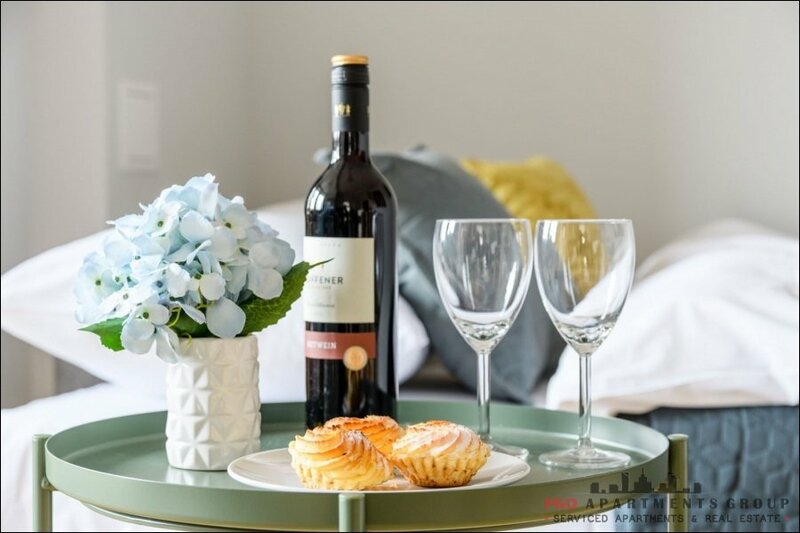 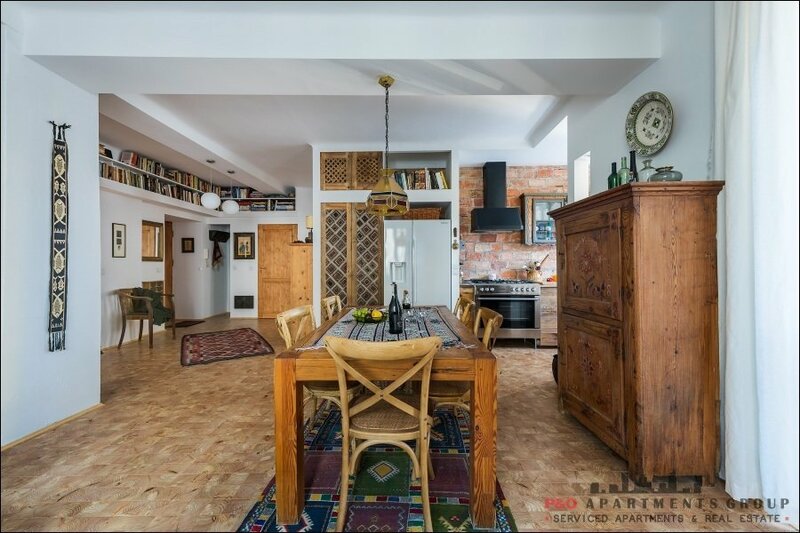 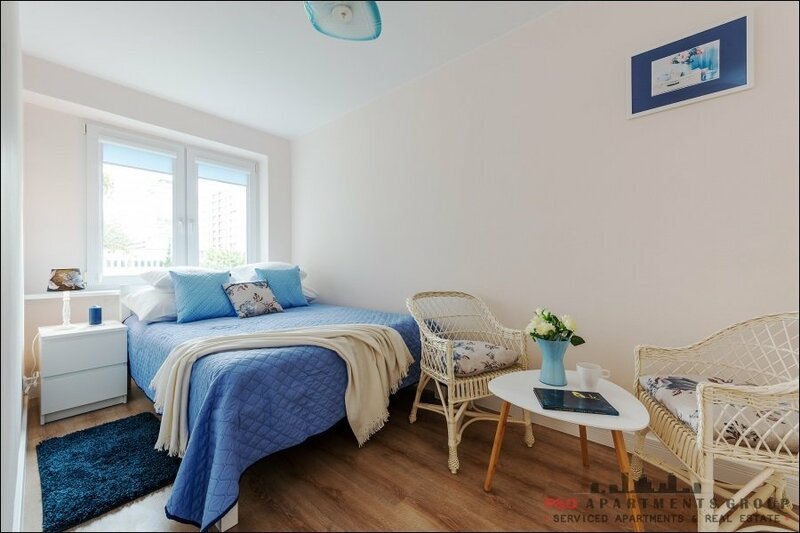 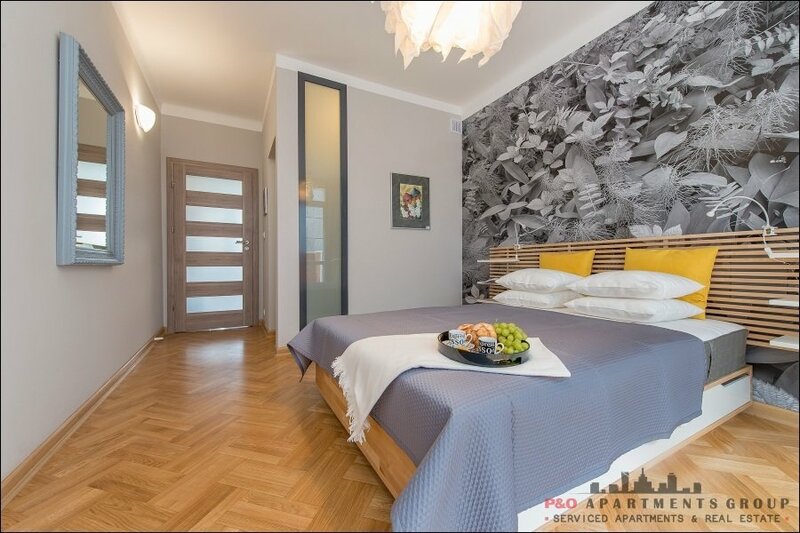 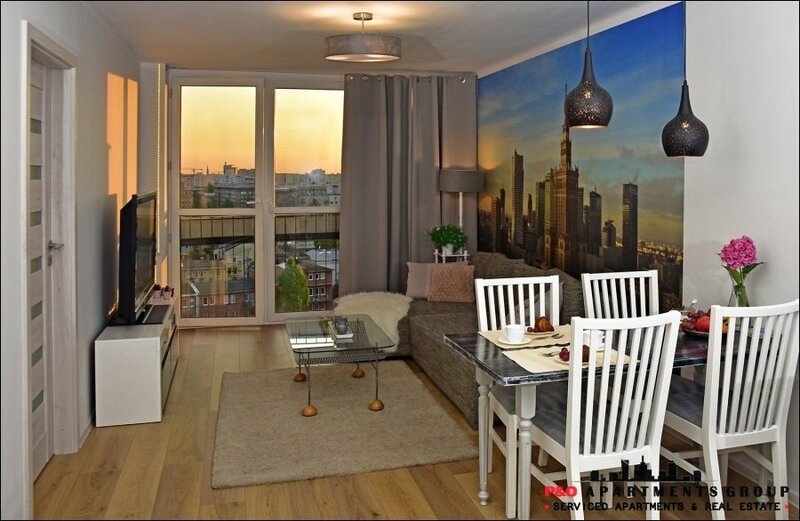 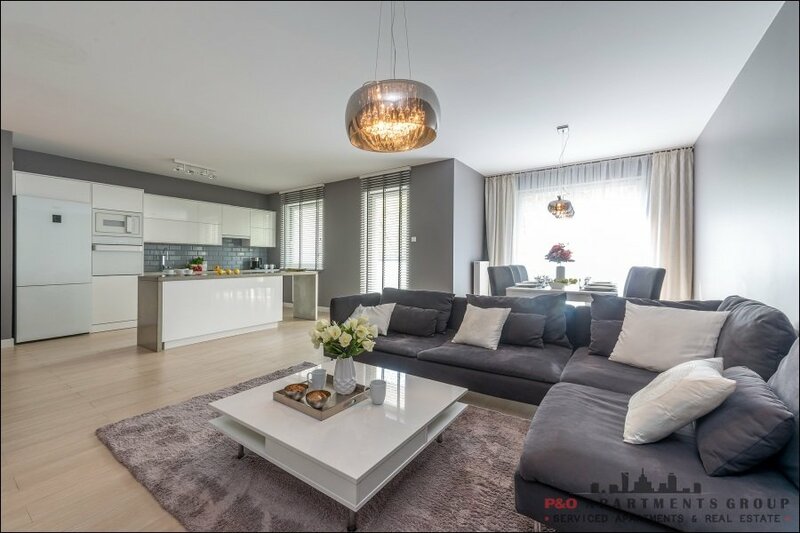 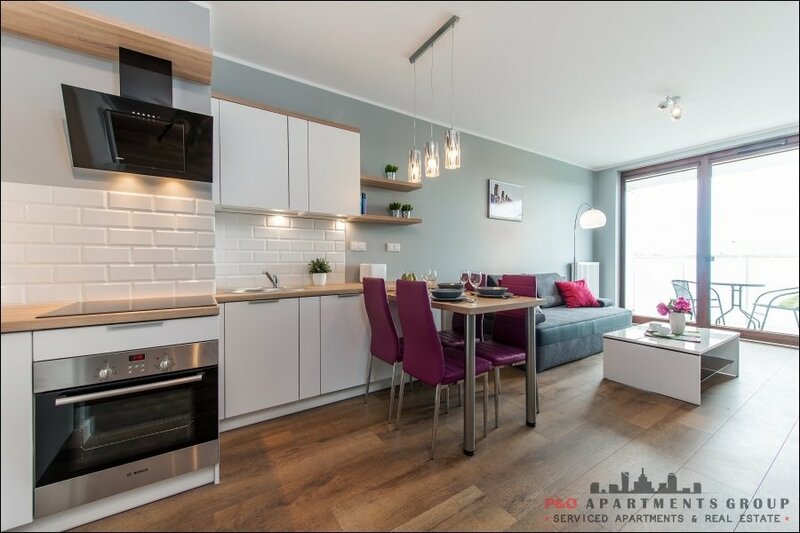 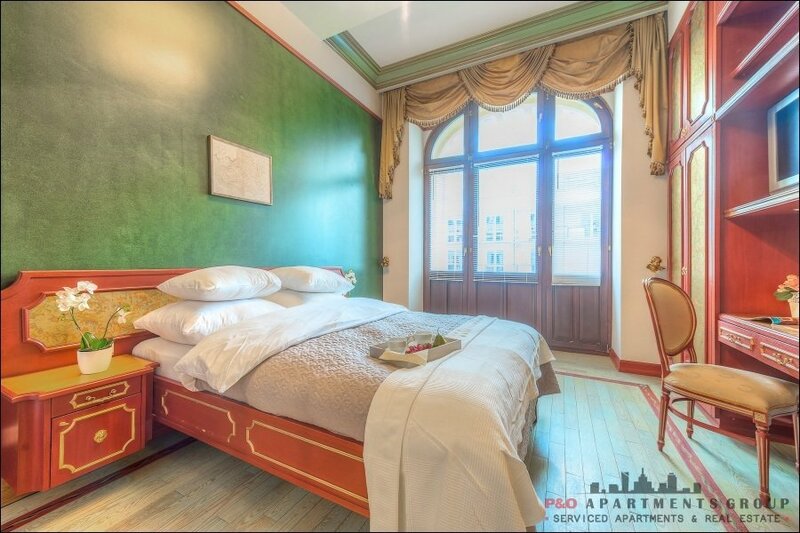 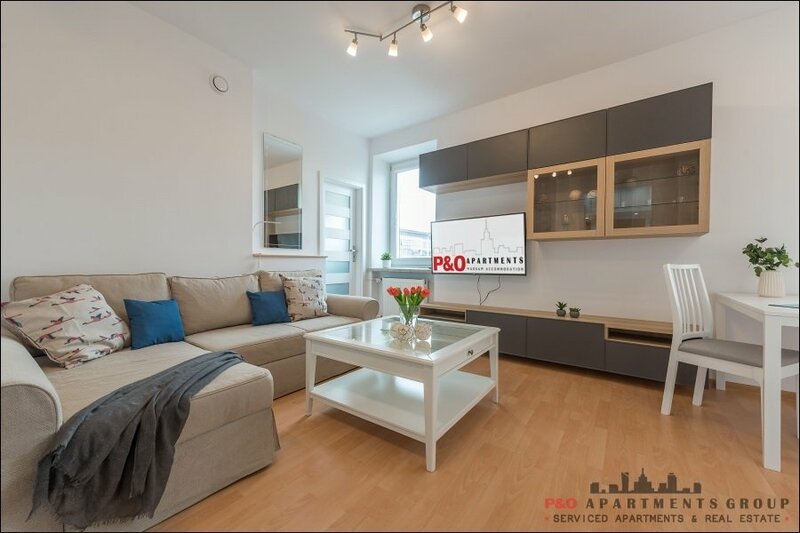 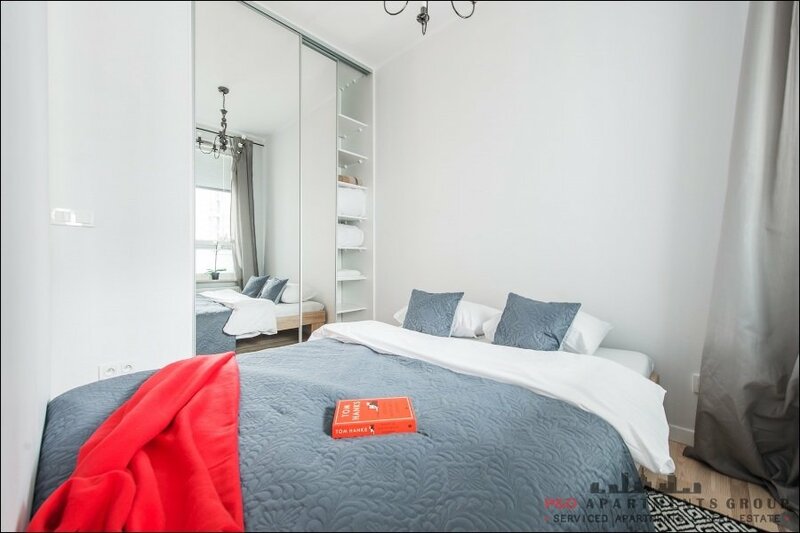 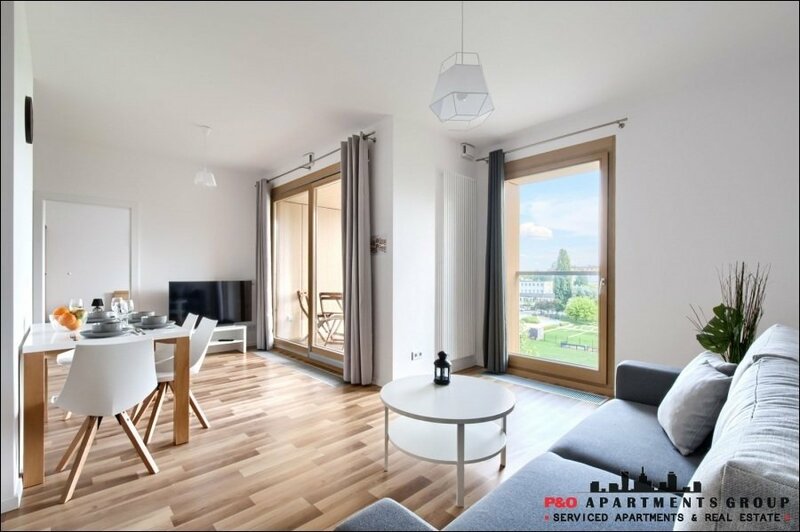 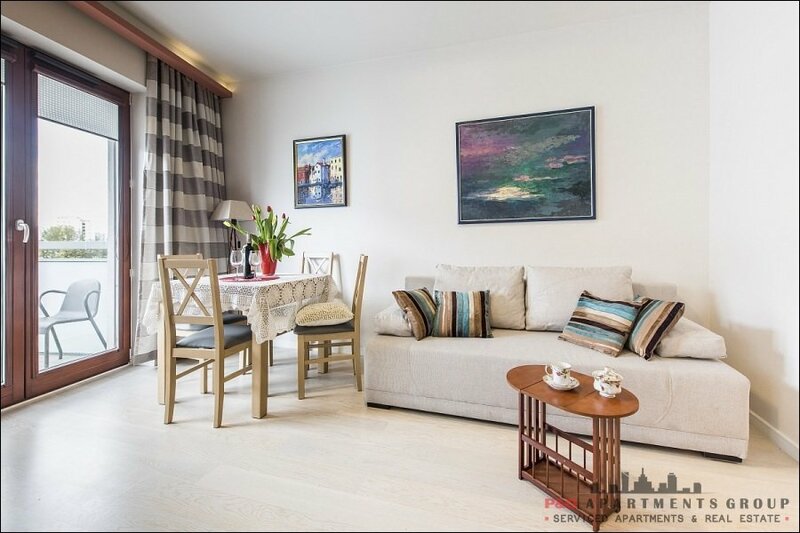 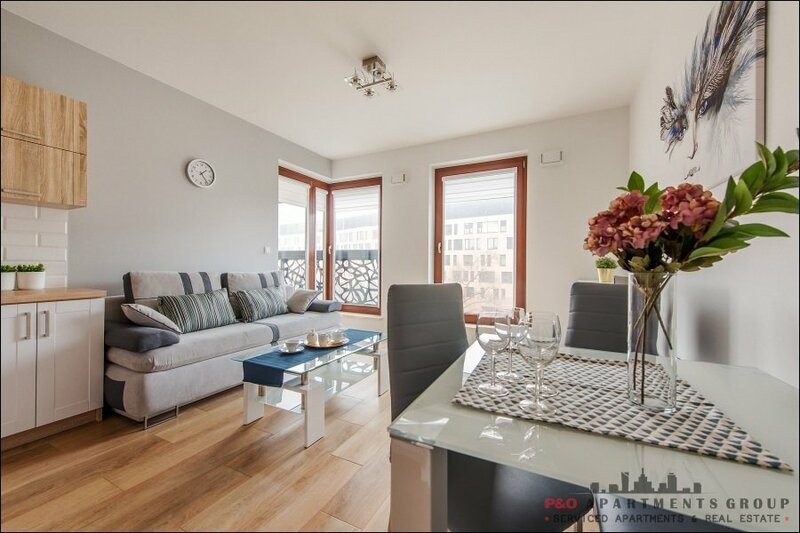 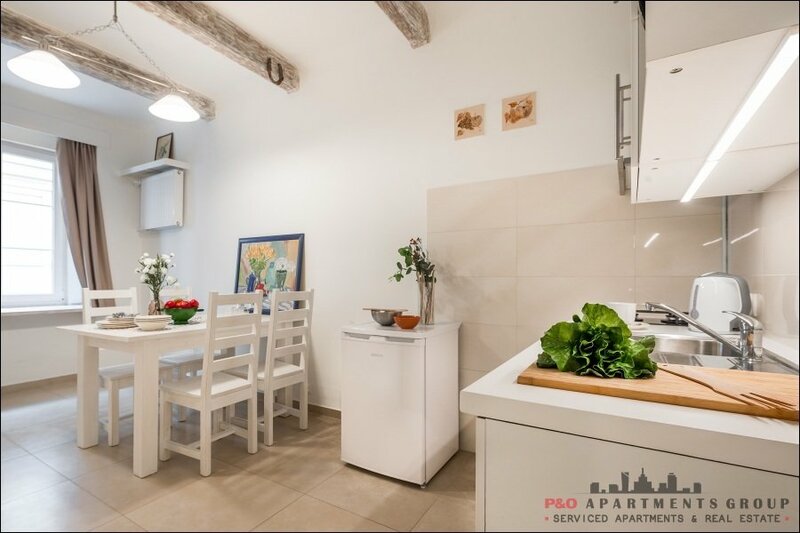 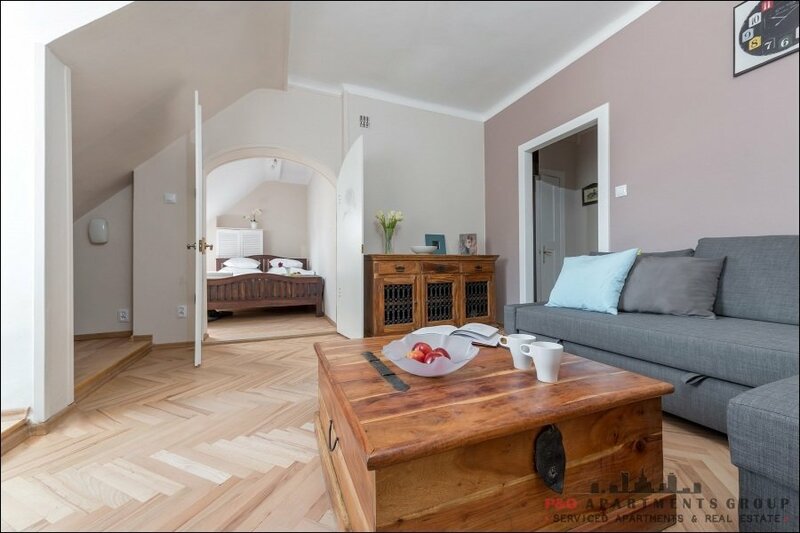 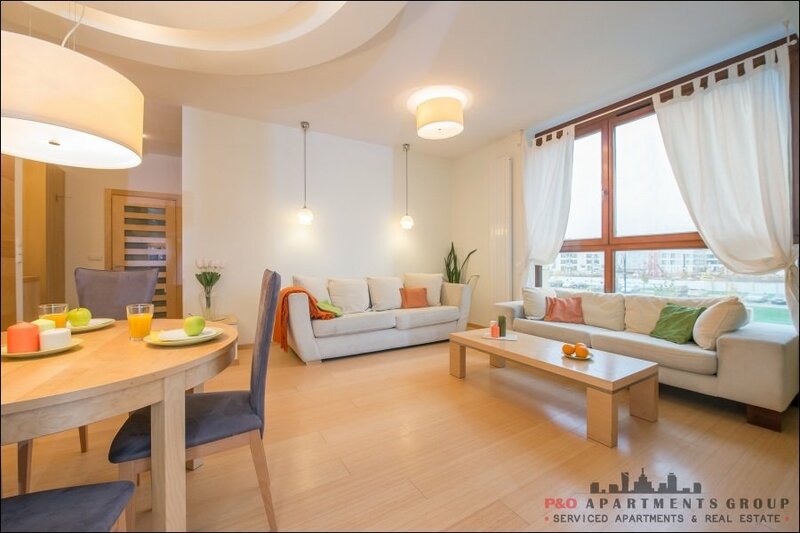 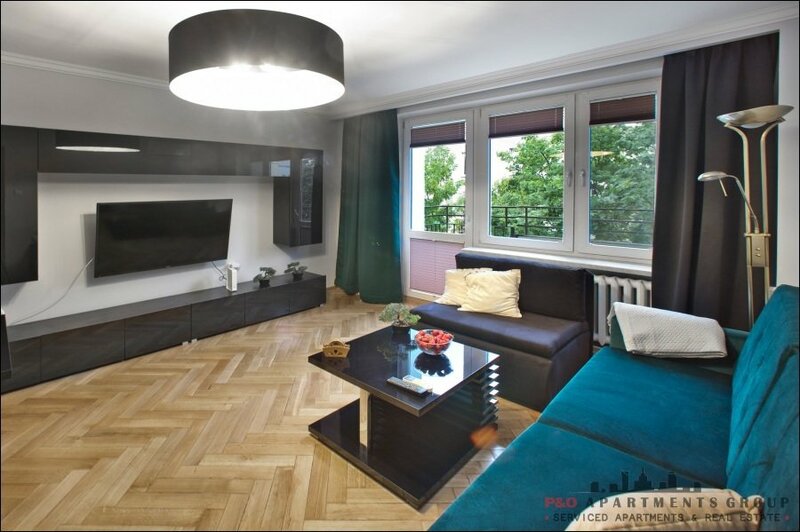 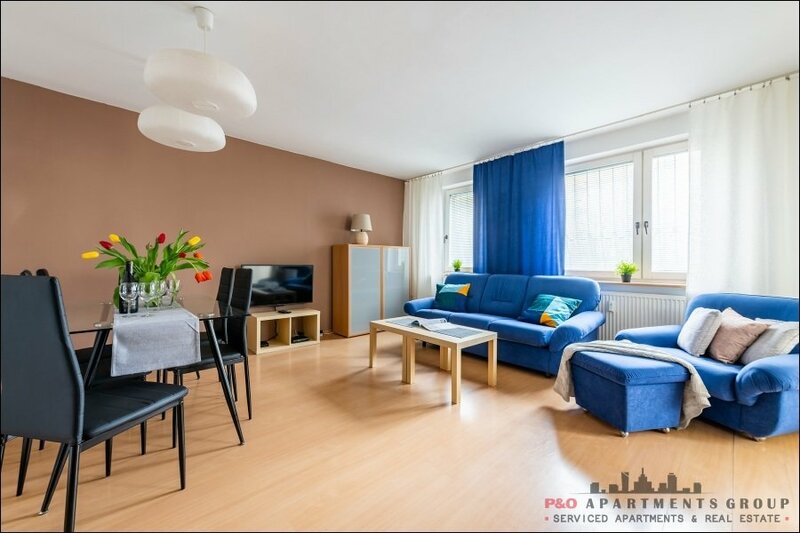 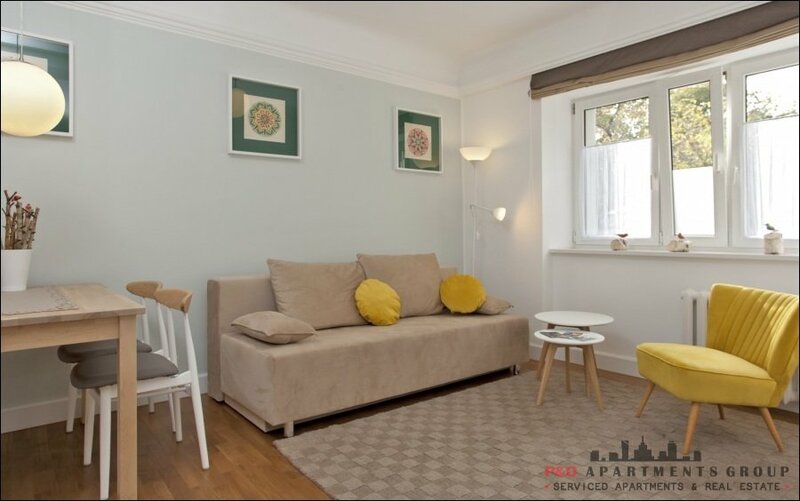 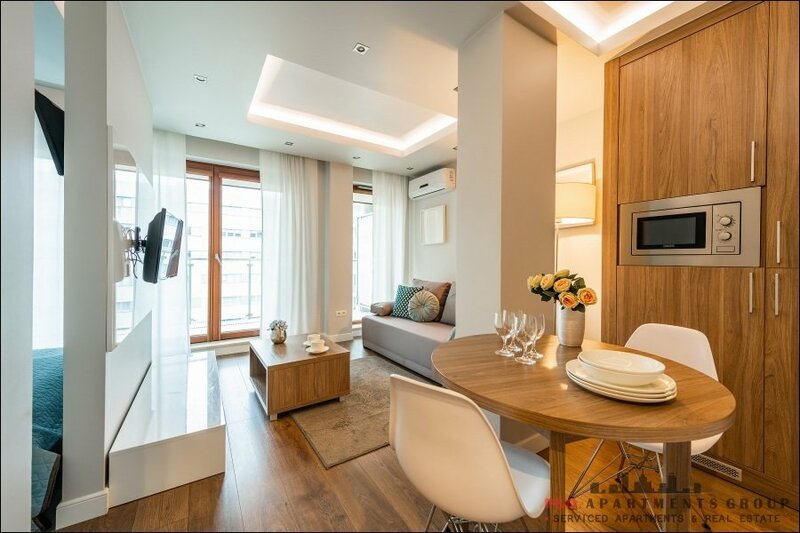 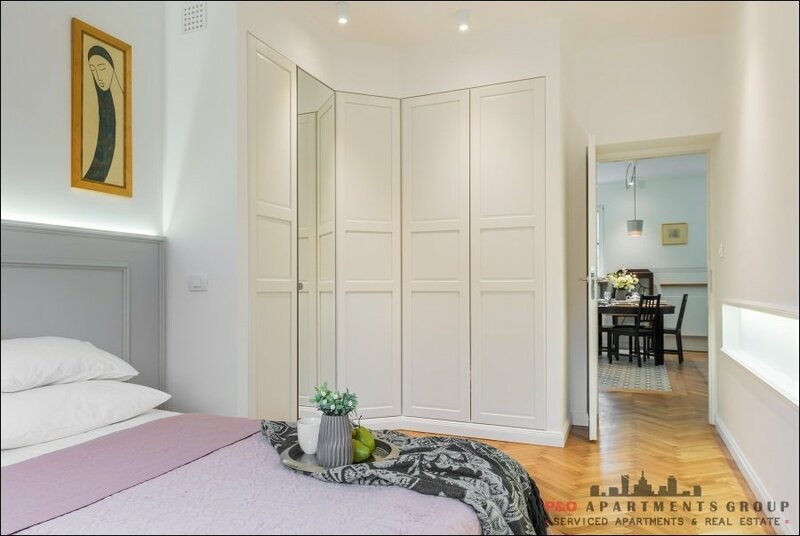 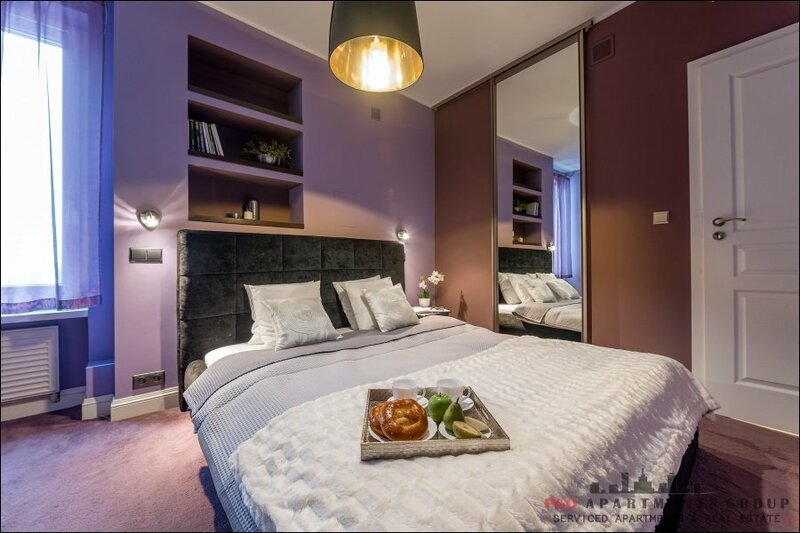 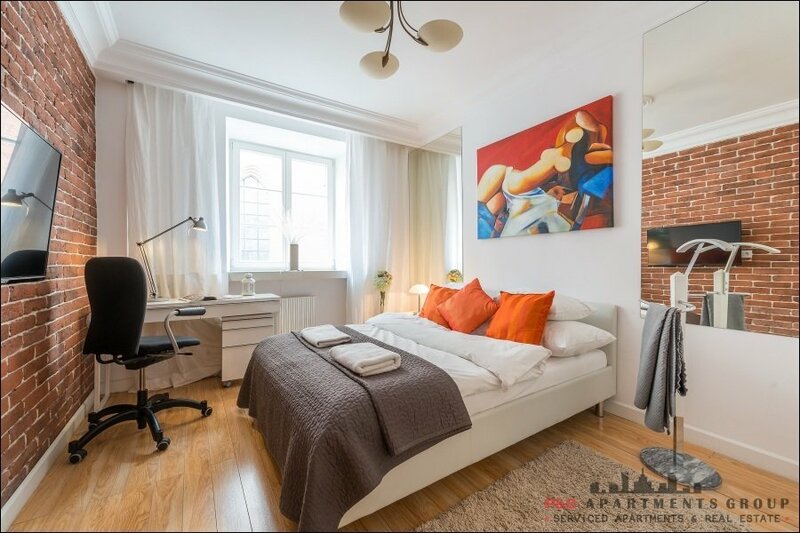 Elegant and modern, carefully decorated, 3-room apartment in a building without an elevator, at 4a Strubiczow street. 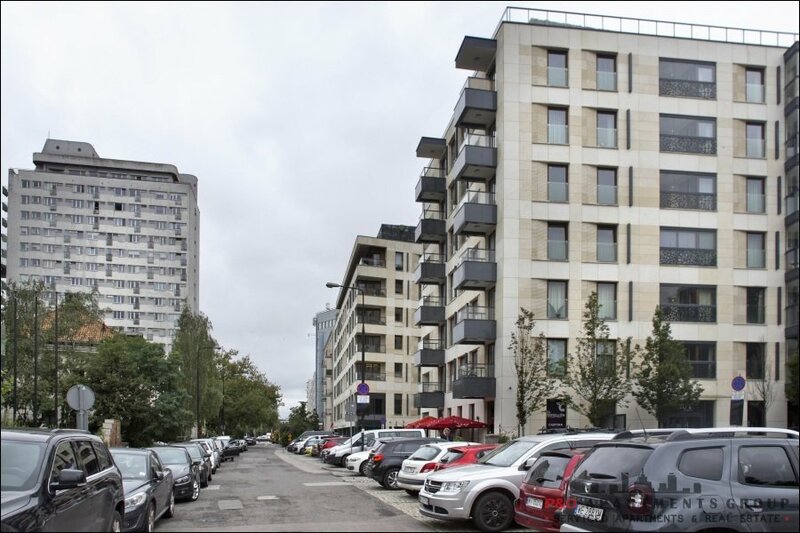 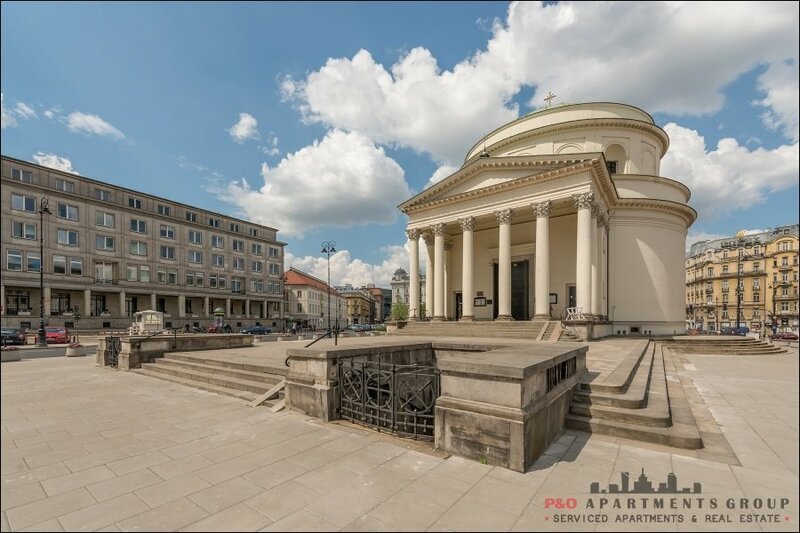 The building is located in the immediate vicinity of convenient transport arrangements directly connecting to the city center. 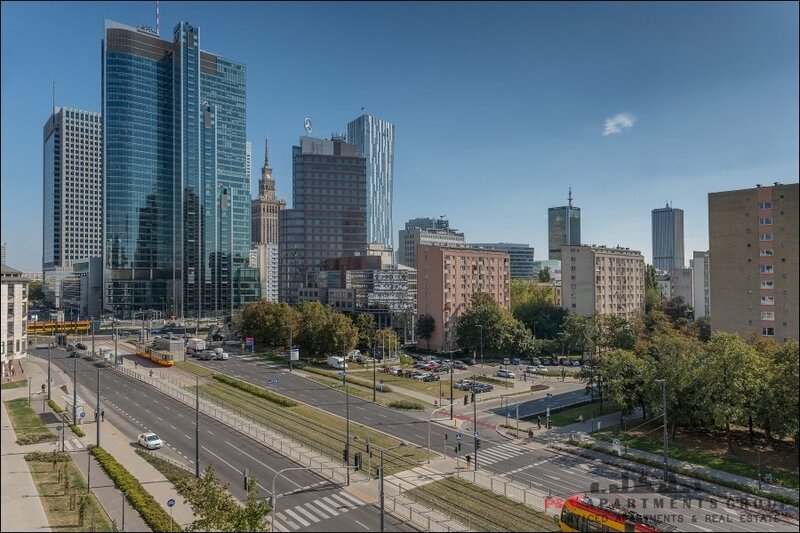 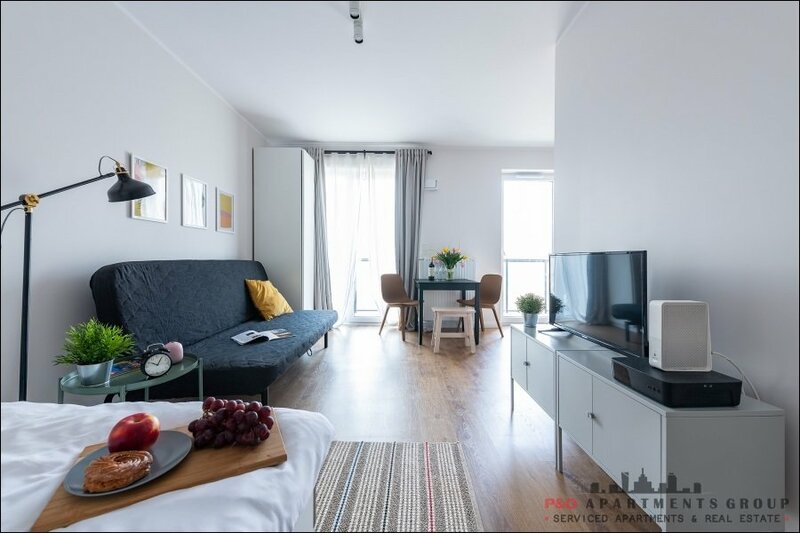 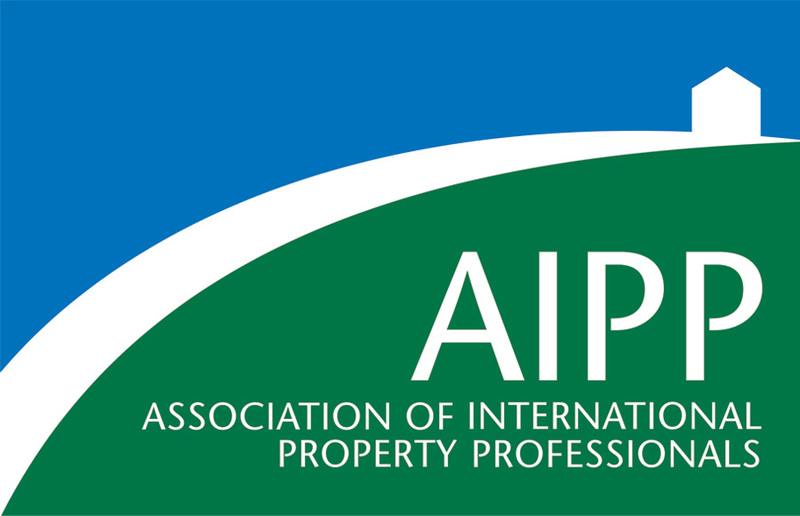 It is also close to the Chopin Airport, which takes about 7-10 min (3.6 km), and is also close to the Rakowiec train station, which offers direct connection to the airport terminal (about 10 minutes drive). 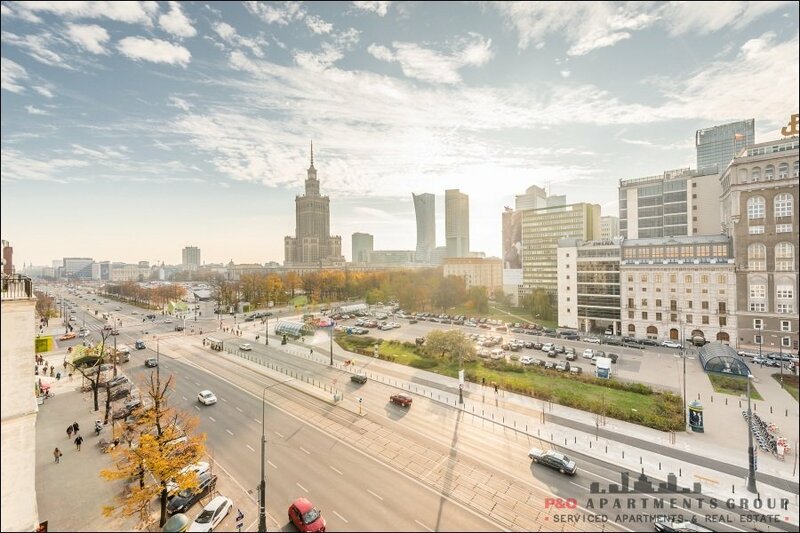 Quick access by car via the newly built Salomea-Wolica bypass (connecting Jerozolimskie Avenue with exit roads towards Wroclaw and Katowice and Grójec, Cracow, Gdansk, Bialystok, Poznan, Lodz, Olsztyn, Toruń, Bydgoszcz). 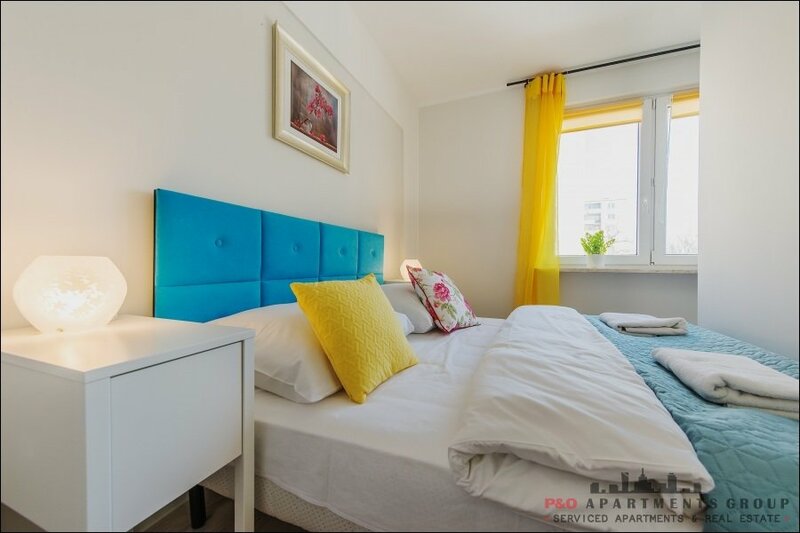 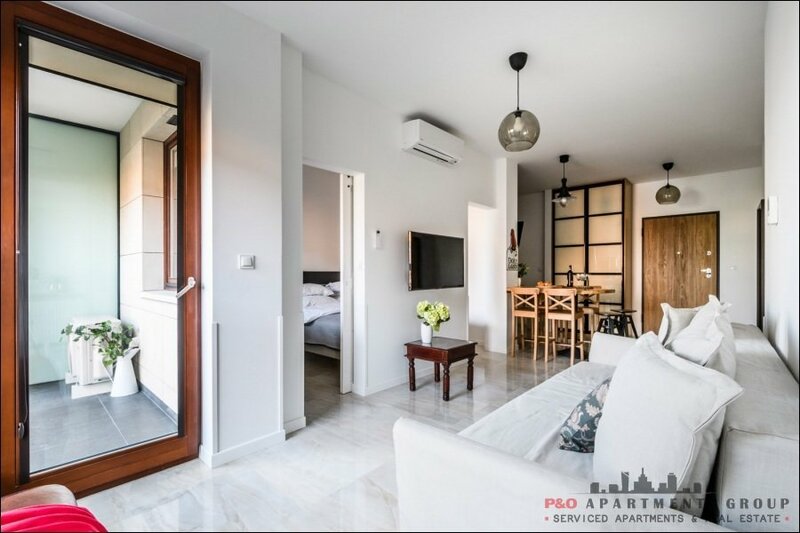 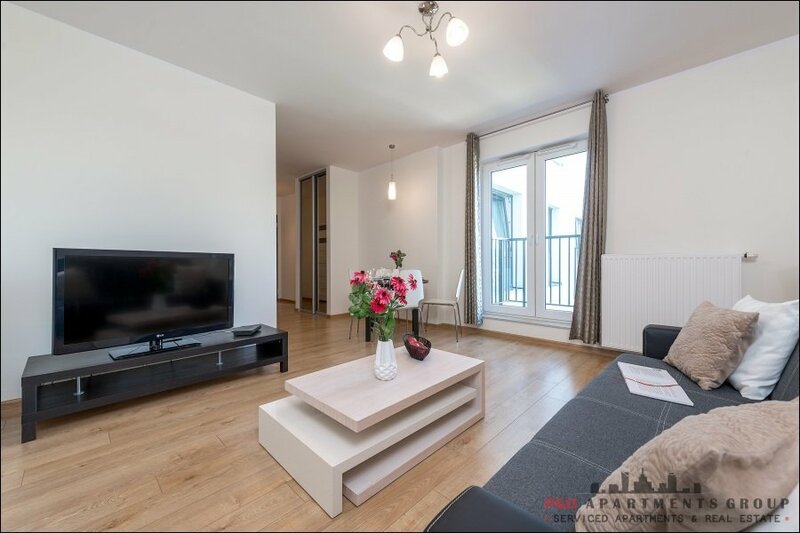 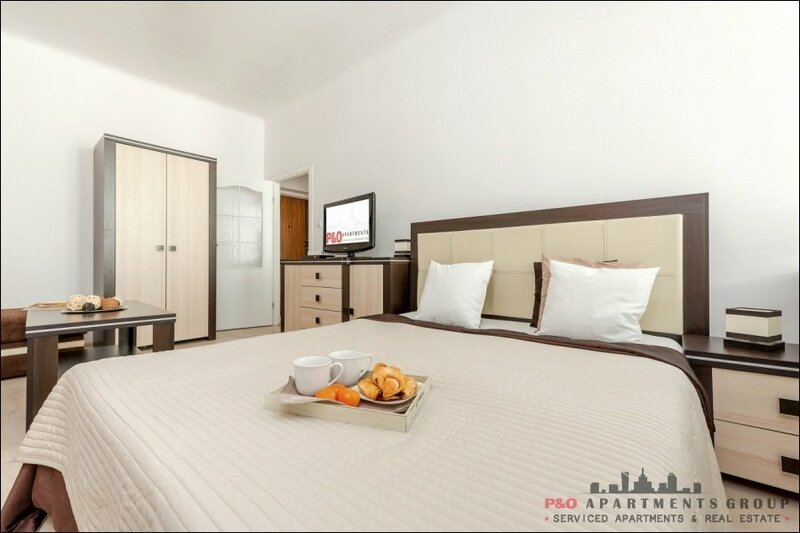 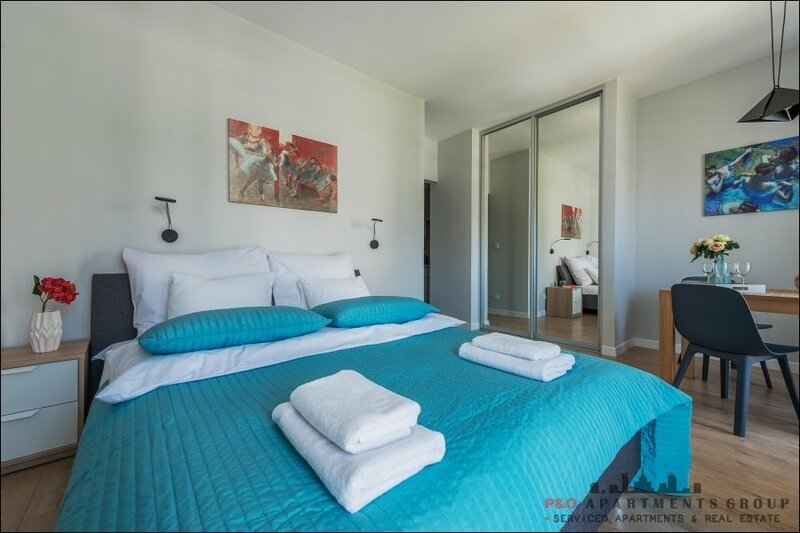 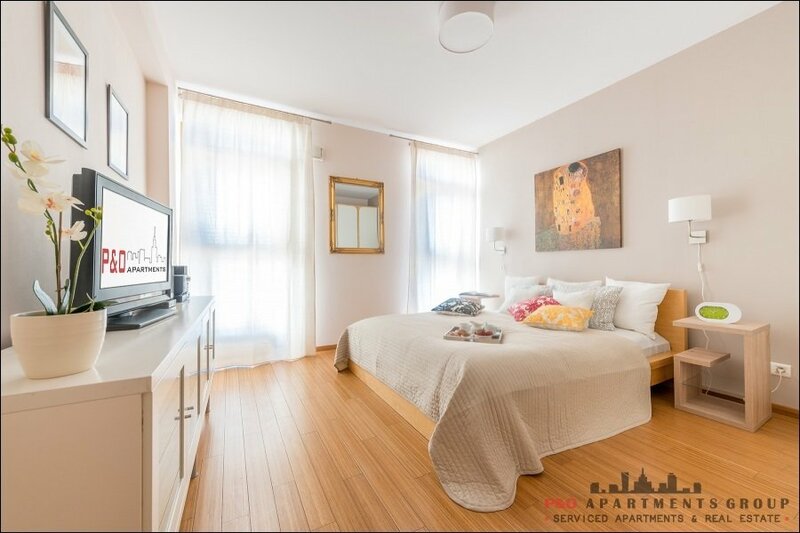 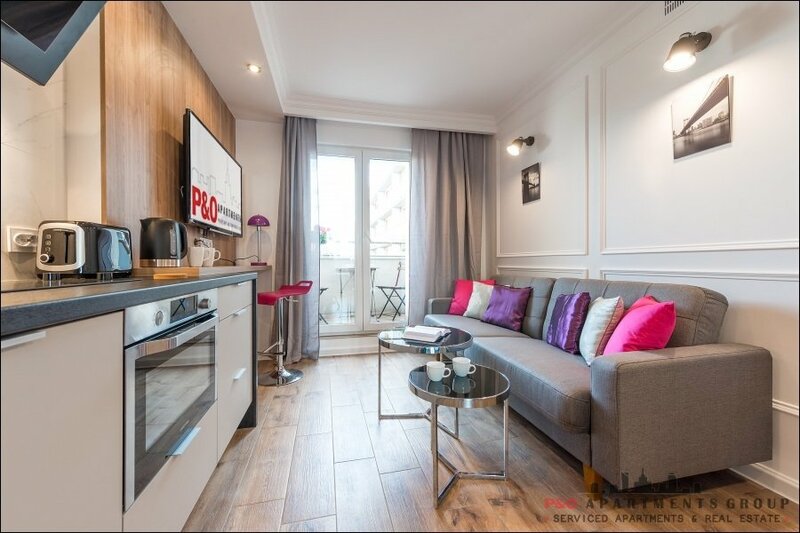 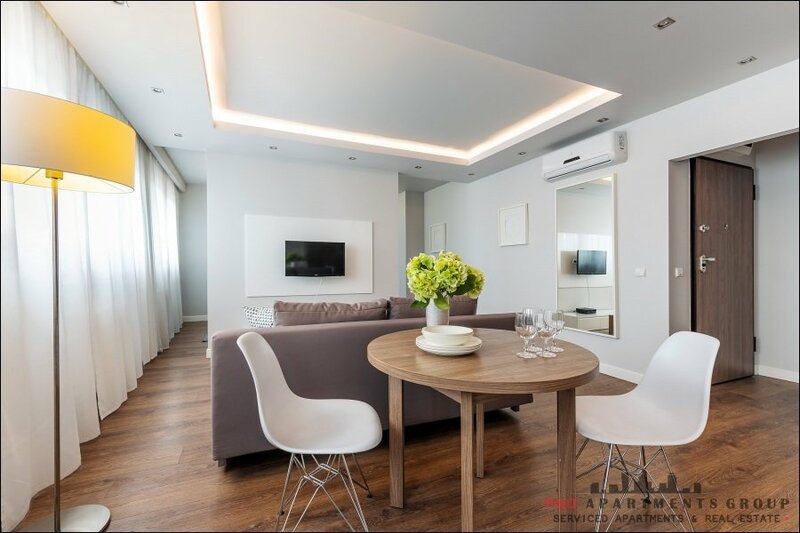 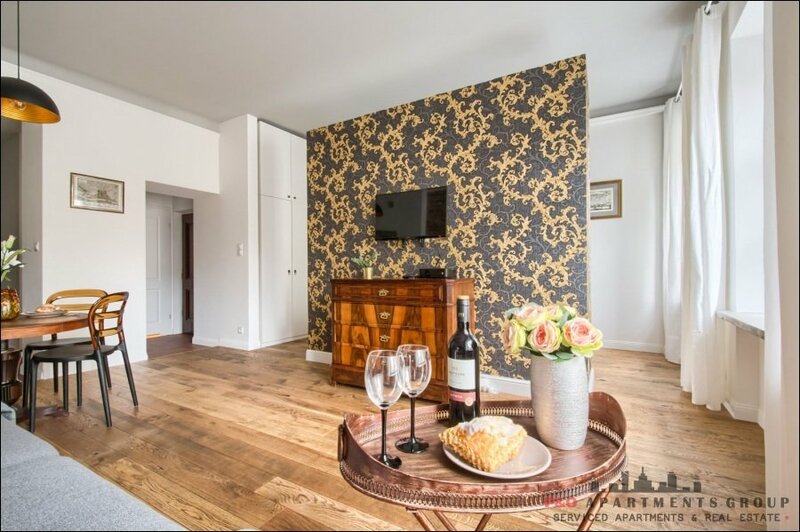 The apartment consists of a living room with a kitchenette, two bedrooms and a bathroom. 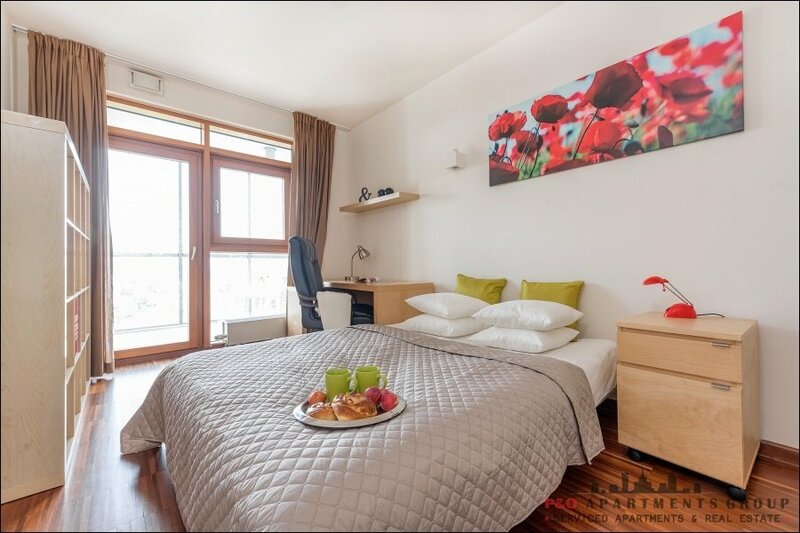 The bedrooms have double and single beds, night cabinets, living room sofa bed for 2 people and a fully equipped kitchenette. 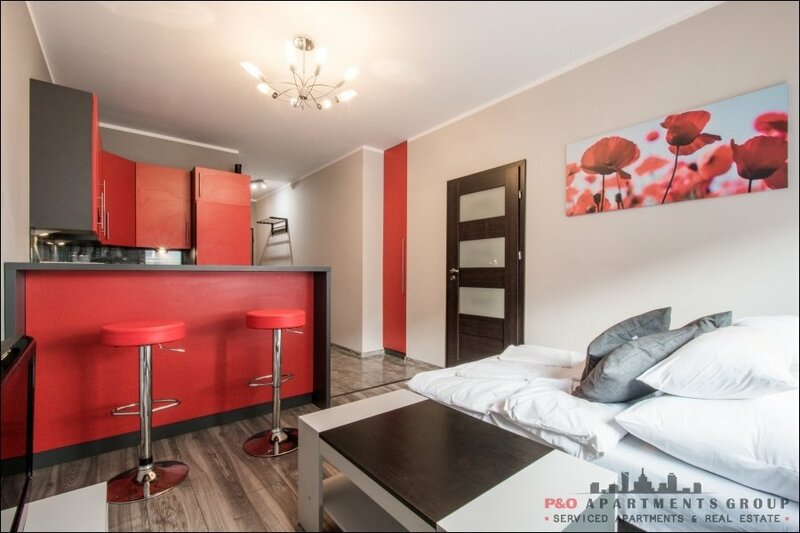 The apartment is new and carefully finished. 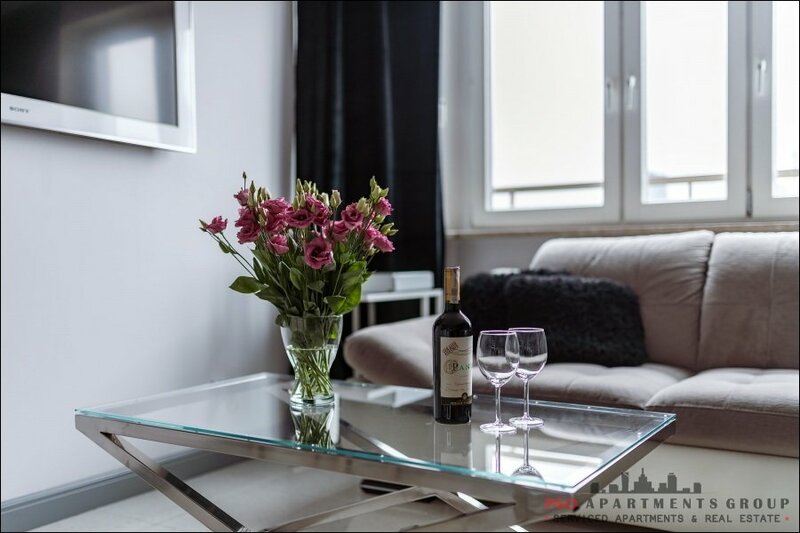 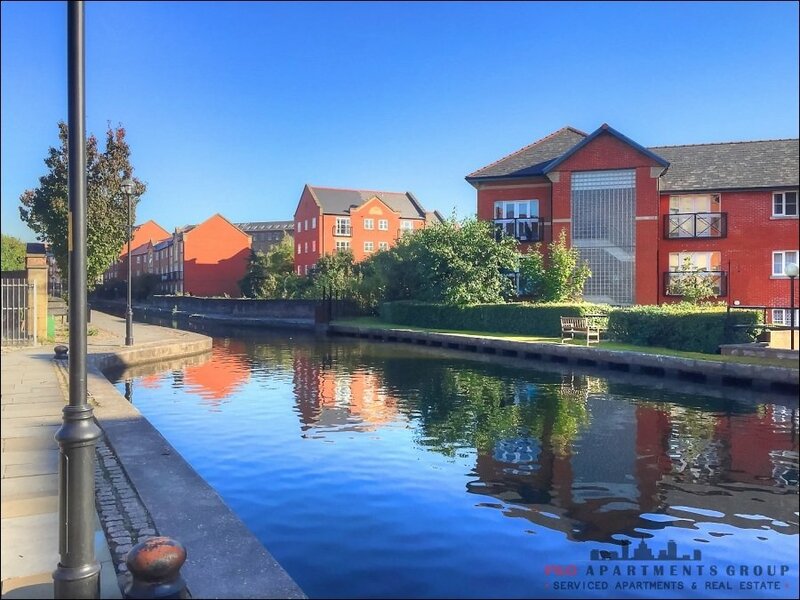 The apartment is located on the 2nd floor, which gives a very nice panoramic view of the city. 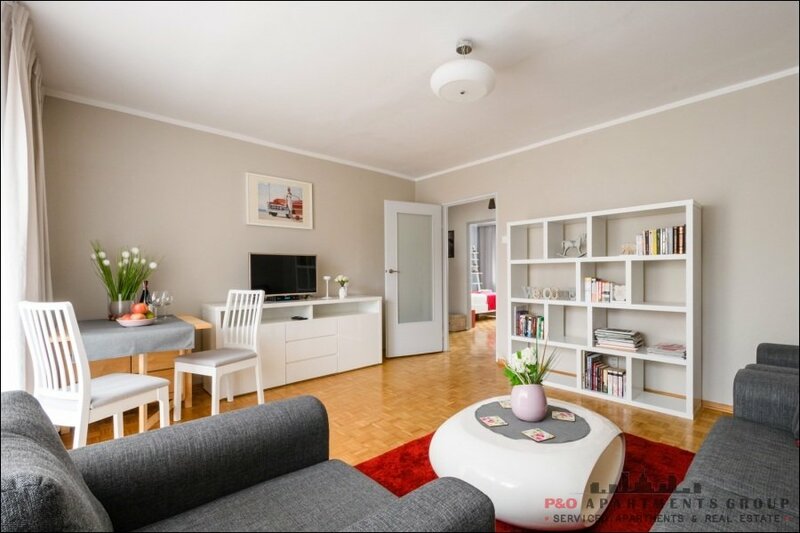 In addition: iron, ironing board, hairdryer, Internet, hairdryer. 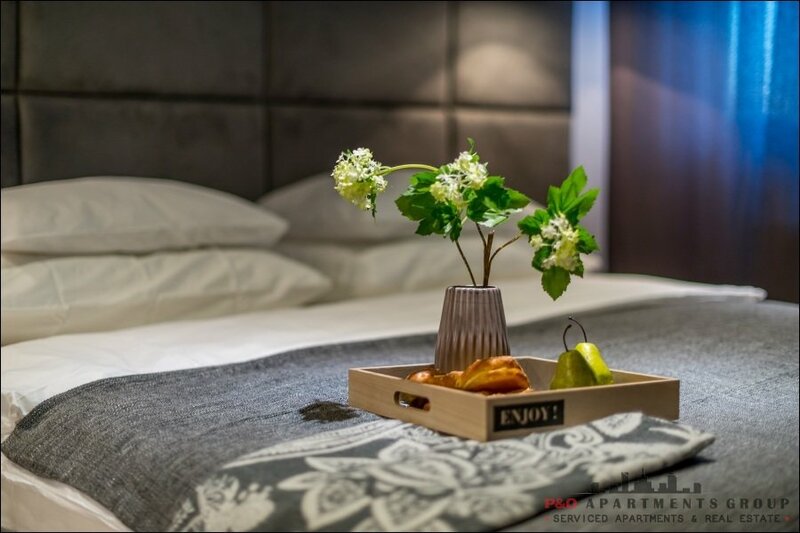 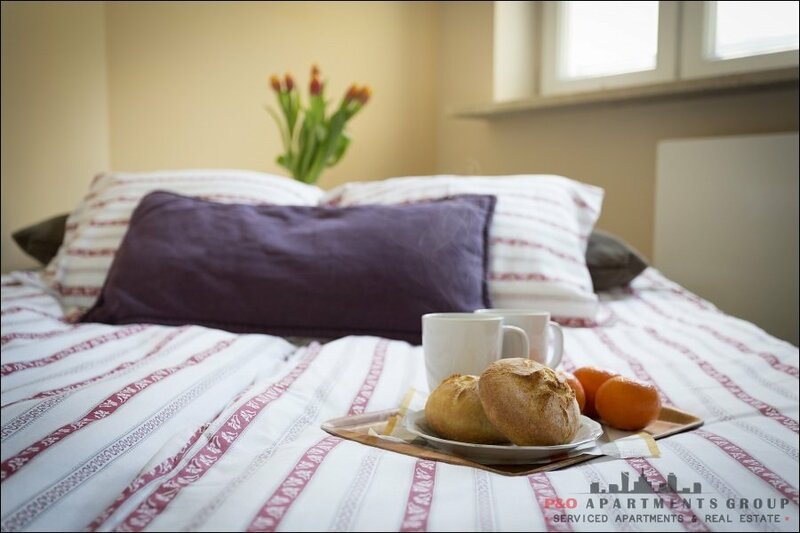 The service includes bed linen and towels.